In this episode of the Officer's Lounge, I'll riff through the episodes "Who Watches the Watchers," "The Bonding," and "Booby Trap" from season three of Star Trek: The Next Generation. 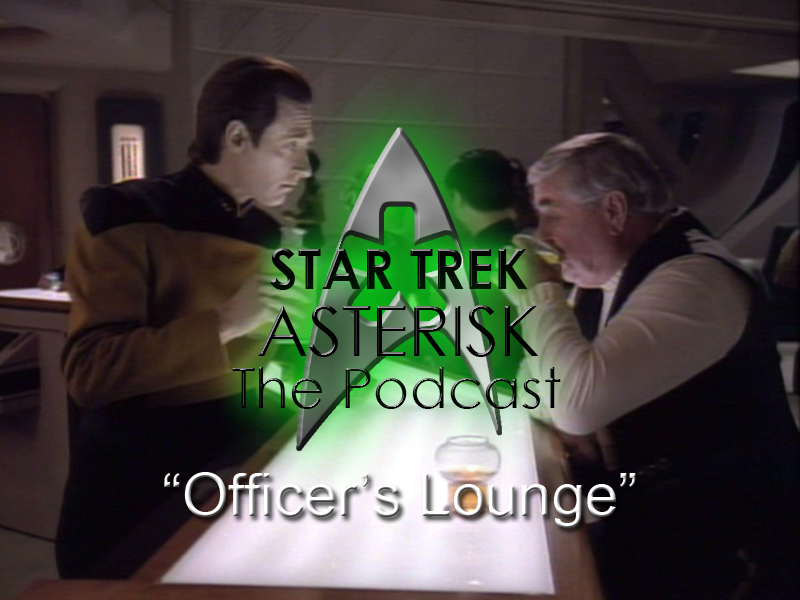 Listen as the tales are told of a proto-Vulcan humanoid race, the death of a boy's mother, and Counselor Troi's uniform... wait, no, I mean, a trap in space. Right. Seriously, though, we've got some good episodes this week. Season three is really coming along nicely. I've said it before, and I'll say it again, this is the season where Star Trek: The Next Generation became great. Keep your podcast catcher tuned to this station for more awesome Star Trek stuff!